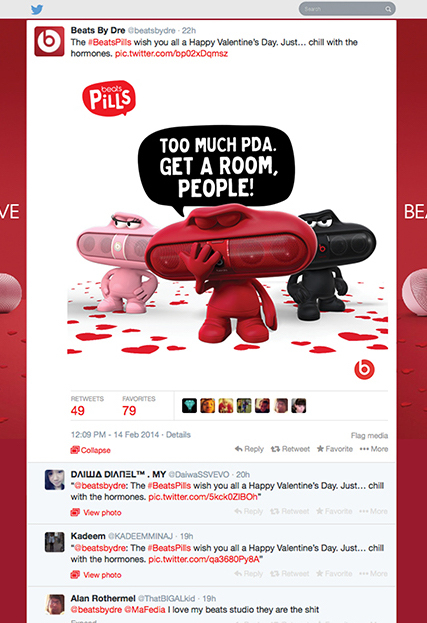 On Valentine’s Day, what better way to show someone you love them than give the gift of Beats? Or, maybe… you know what? Screw that. Celebrate Valentine’s Day with 100% pure attitude. 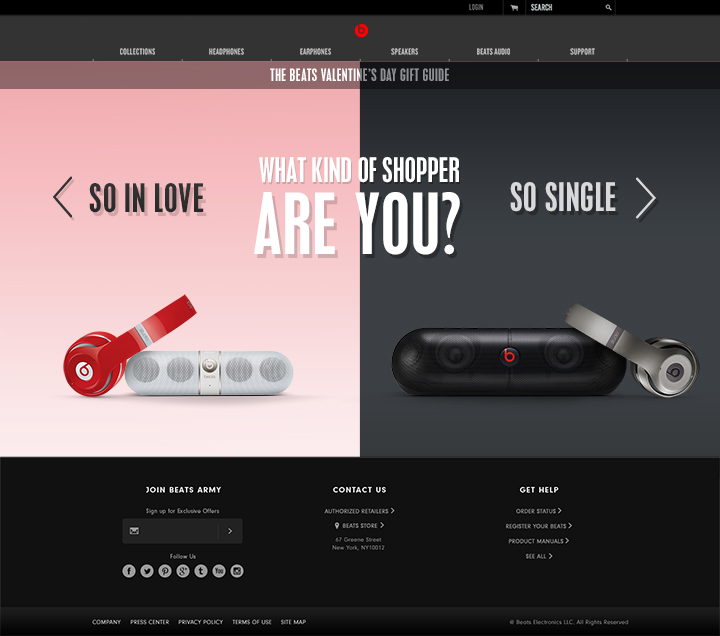 This microsite for Valentine’s Day asked a simple question to target deals to visitors: are you in love or out of love? The project’s a prime example of how much I love to write for characters. With Beats, you don’t sell the sound, the bass, or the comfort. You talk the talk of a game-changing headphone. Would you rather drown out those crappy sweet nothings or impress your sweetheart? Either way, get some Beats. The product doesn’t change, the attitude does.